« How Does a Southpaw Orient Himself? To innovate successfully, you need a strong vision of the future. What will your customers want in ten or 20 or 30 years? If you can picture that, you can start creating innovations today that will put you in the right place when the future arrives. That’s one of the reasons I’m fascinated by the dogfight between Boeing and Airbus. They clearly have very different visions of the future of commercial aviation. Different visions produce very different airplanes. Let’s start with what they agree on. Both Boeing and Airbus believe that the future belongs to the efficient — as measured by cost per passenger mile. Boeing has chosen to work on numerator — operating cost — while Airbus is focused on the denominator — passenger miles. This produces two very different airline experiences: point-to-point for Boeing versus hub-and-spoke for Airbus. Let’s say I want to fly from Denver to Brisbane, Australia. There’s some demand for travel between the two cities but it’s not huge. So how would the experience differ on Airbus versus Boeing? In the Airbus scenario, I would fly to a regional hub — maybe Los Angeles — and then join 800 other passengers on an A380. The huge number of passengers dramatically lowers the cost per passenger mile. I would then fly the A380 to another regional hub — say Sydney — and then transfer for a short flight to Brisbane. Boeing takes a different tack. Boeing essentially says, if there’s not much demand, let’s build a smaller plane that airlines can operate profitably on “long, thin routes”. 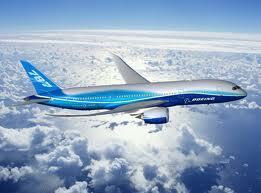 Thus, the Boeing 787 — a light weight, twin engine, long distance plane. In the Boeing vision, I would board a 787 in Denver and — 15 hours later — get off in Brisbane. I can fly from point to point rather than transferring in mega-hubs. Personally, I prefer the Boeing vision. But that’s not really the point here. The point is that your vision leads you to the type of innovations you deliver. Boeing and Airbus clearly have different visions of the future. Thus, they’re building very different planes. It may be that one is right and the other is wrong. Or maybe there’s room for both. No matter how it plays out, both Airbus and Boeing are making bet-the-company gambles on their visions. So what’s your vision of the future? What will your customer want in one year? Or five years? Or 20 years? You can’t predict the future — at least not the details — but you can create a strong vision of what services and products your customers will want. That can help you create the innovations that will get you safely to the future. By the way, the first long, thin route from Denver starts in mid-2013 — a non-stop flight from Denver to Tokyo on a 787. That’s a flight that Suellen and I need to take.